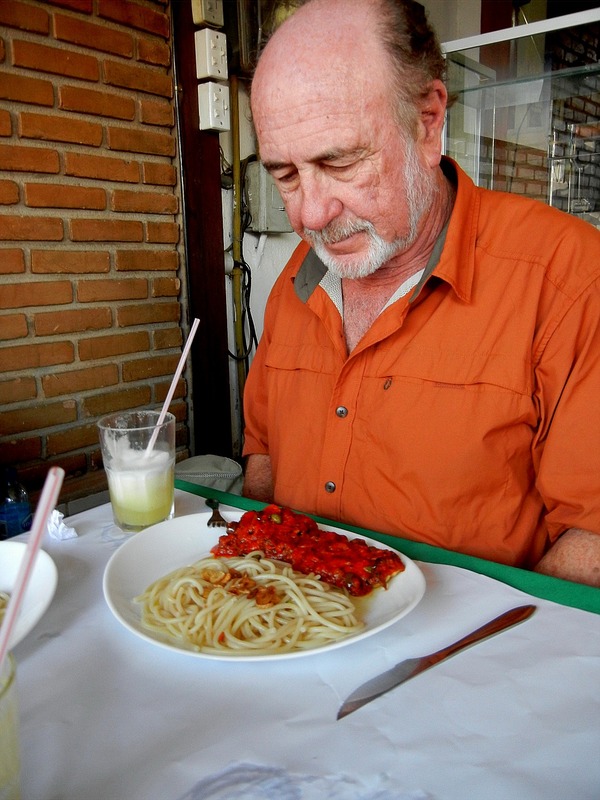 Our experience with food in Brazil was good. It was plentiful, tasty, and nutritious. I personally gained weight. 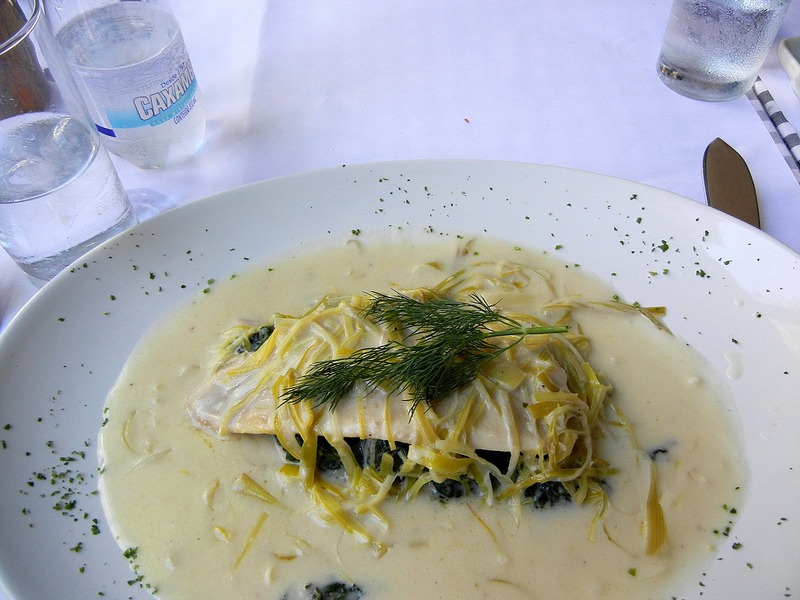 My fish dishes were uniformly delicious and well prepared. 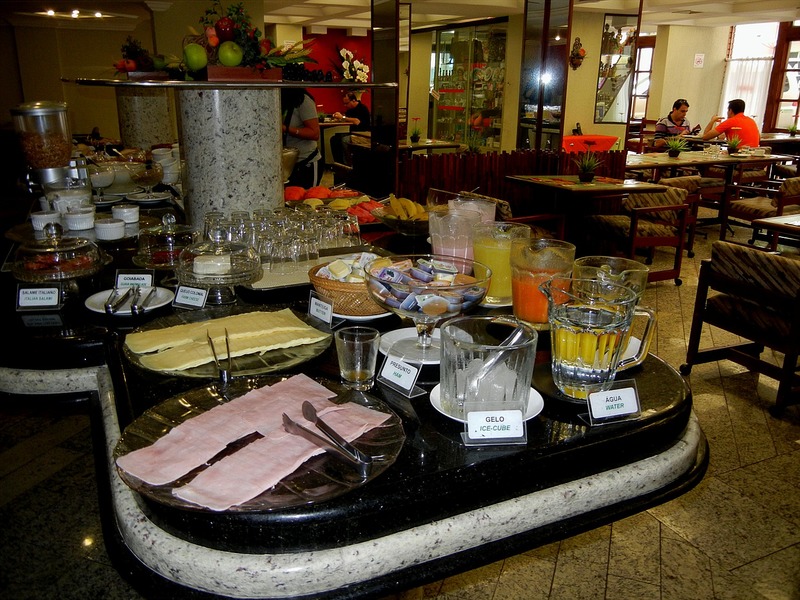 As bread and cheese (pão de queijo) is a national dish, pizza dishes were common and nicely prepared. Fruits juices of many varieties were readily found; they were prepared by crushing, the less water the better. Maxim's in Copacabana served the finest juice of pineapple of those I sampled. Churrascaria restaurants feature beef and buffet, but my brother and I were disappointed with the quality and atmosphere of the places we tried. As for Brazilian beer, our vote went to Devassi (on tap if you can find it). Dark beer Xingu was good also; other brands were available, particularly Heineken and Bohemia. Straight coffee and espresso were very good, but, oddly, cappuccinos were inferior. 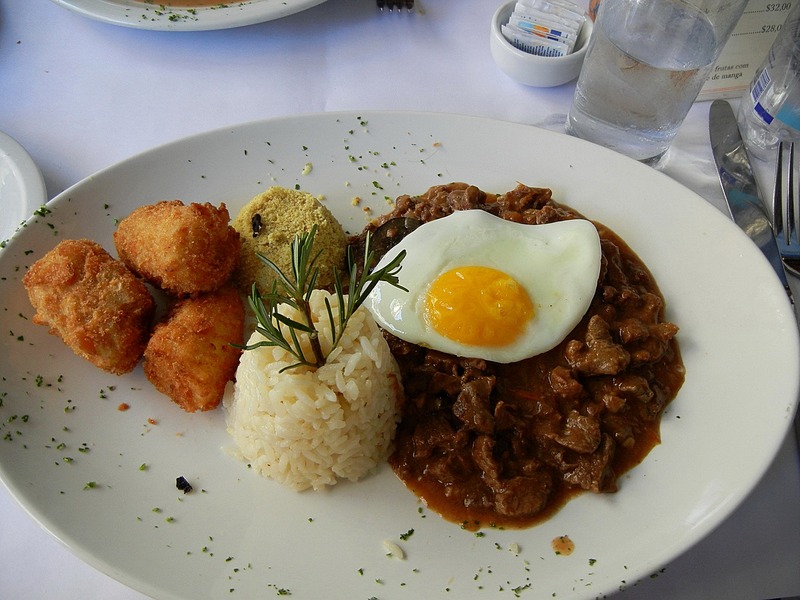 Beans and rice are the staple, but here rice and potatoes join an egg and beef pieces. Layers of fish and spinach with cheese. An attractive dish of prawns and grain. 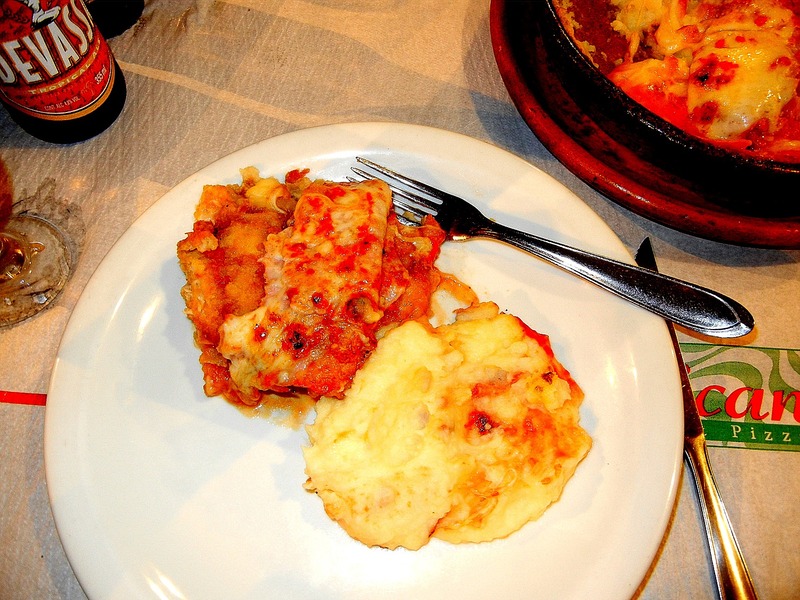 A Brazilian lasagna with potato. Spaghetti and a beef. dish on the side. 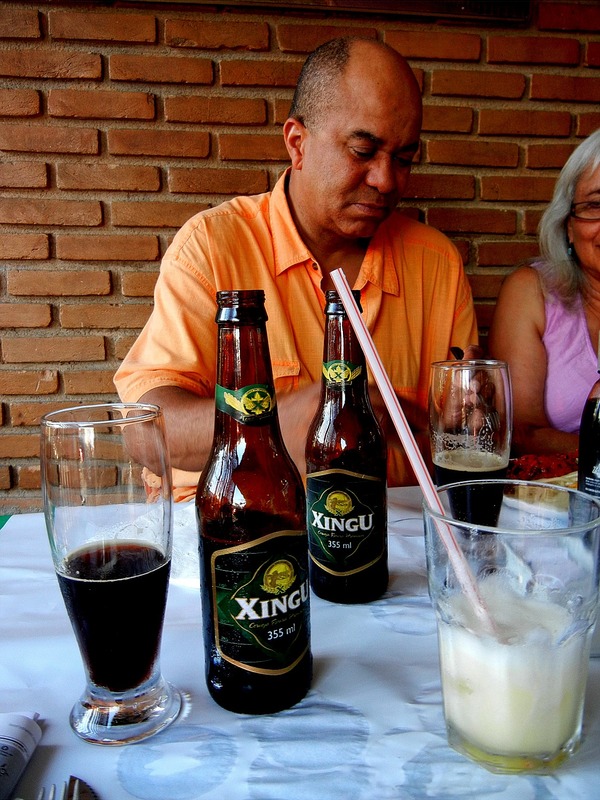 Xingu beer and pineapple juice. 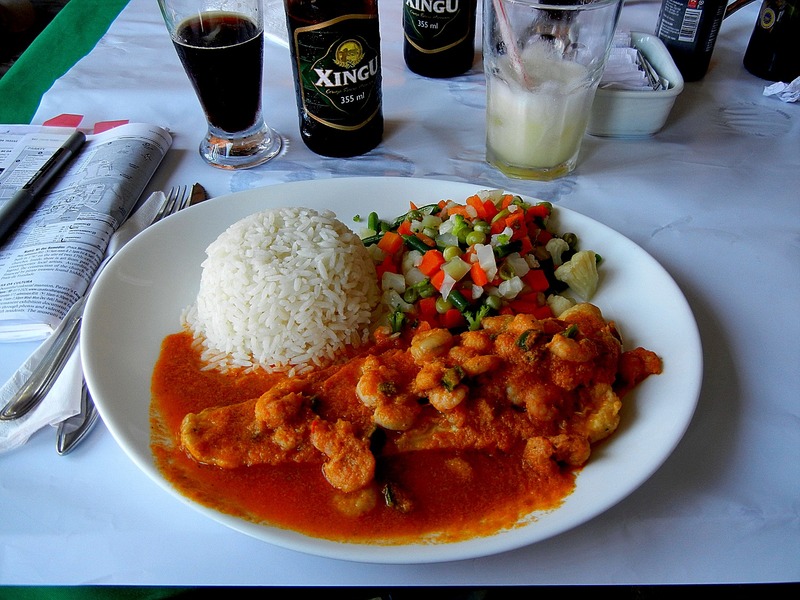 Fish, shrimp sauce, rice, and mixed vegetables. Duck, sweet fruit cannelloni, and potato. 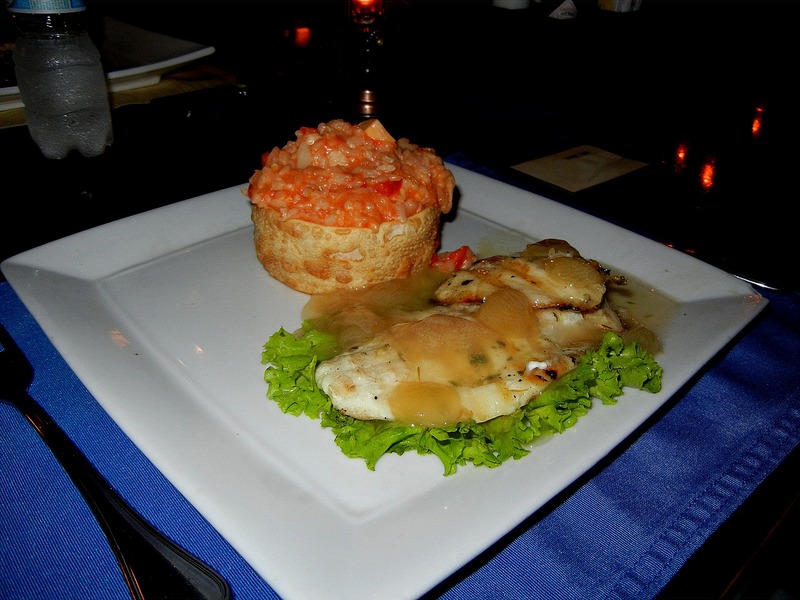 Fish and a filled pastry shell. 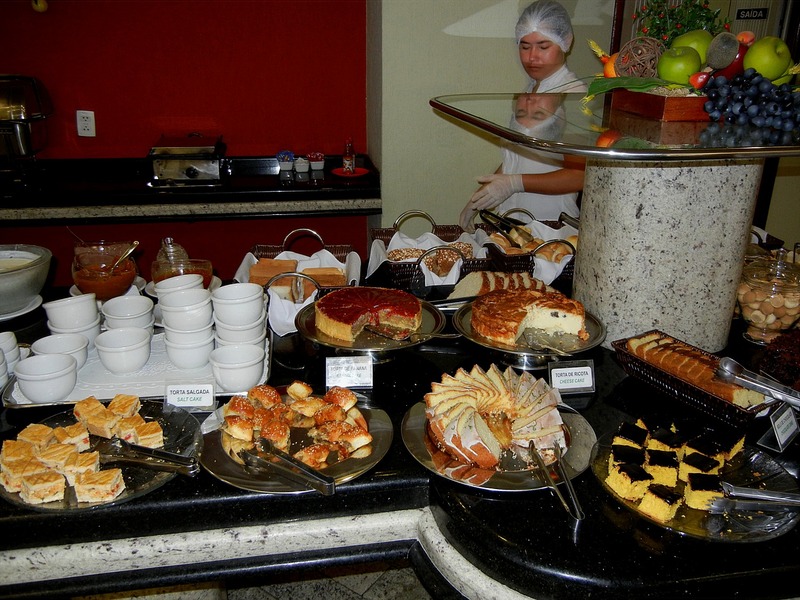 Hotel breakfast buffets were a feast. 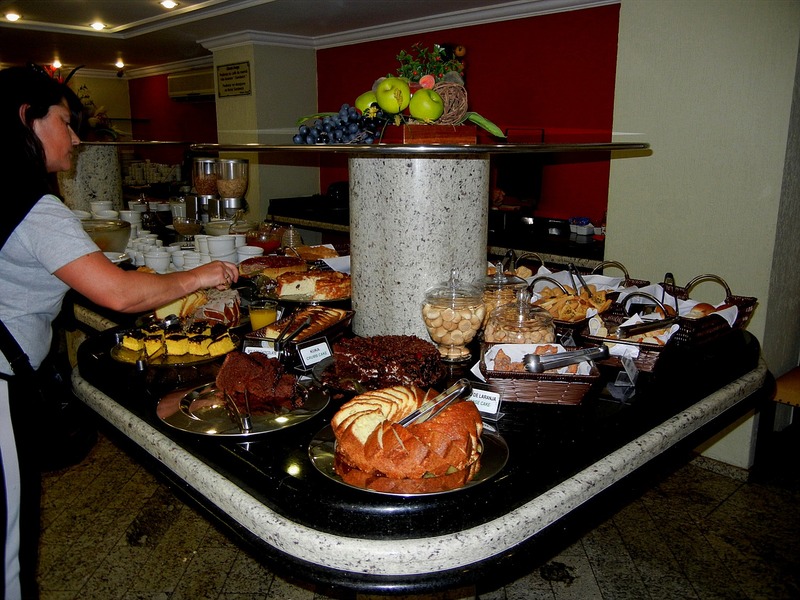 A variety of juices, cheese, deli meats, fresh fruit, bread choices, with some filled with fruit, cereal, yogurt, coffee and tea, and several types of dessert cakes, including cheese cake. At the right is cheese, ham, juices. 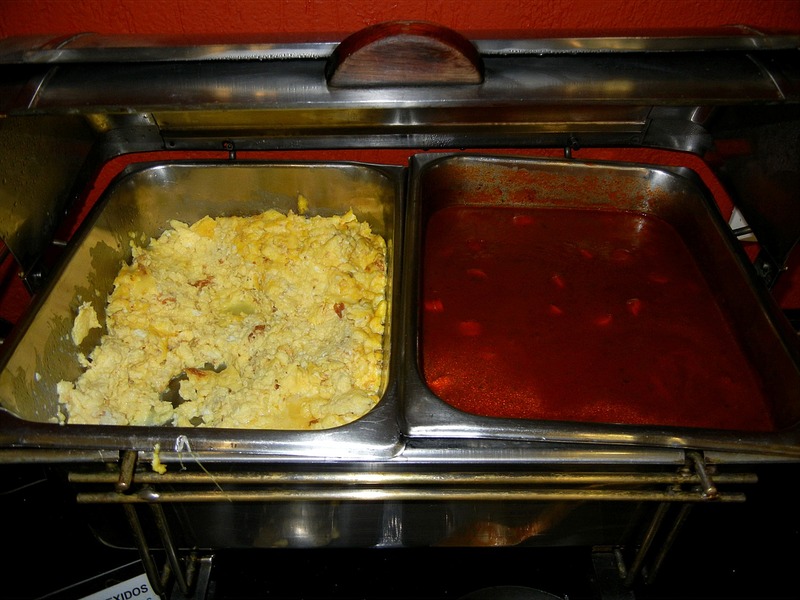 All the hotels served scrambled eggs and sliced frankfurter pieces in sauce. The best scrambled eggs by far were at Hotel Capo Sul. 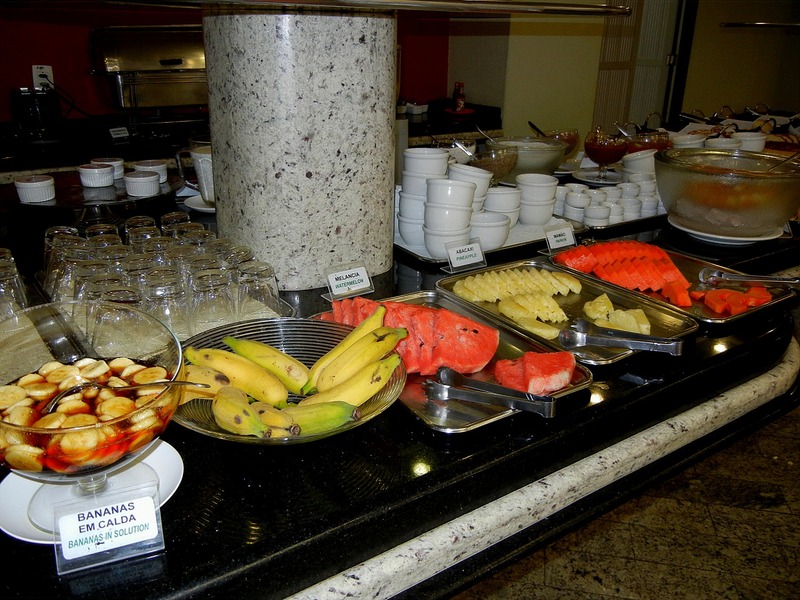 At the left are fresh fruit choices. Desserts for breakfast? 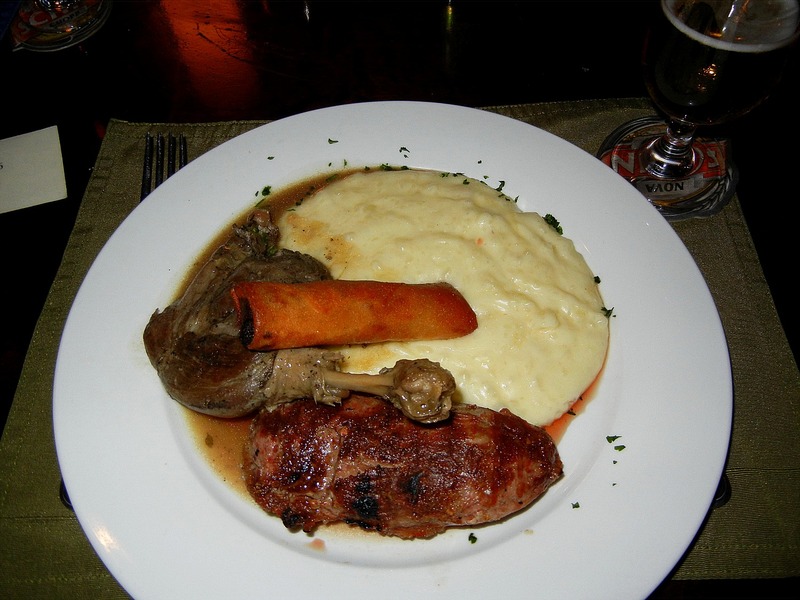 Better, but more caloric, than Danish.